Some of the 200 Chief Science Officers from junior and senior high schools visit GCU for a training institute. 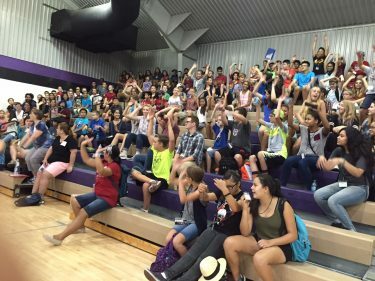 Antelope Gym was packed Monday morning with students from junior high and high schools from across Arizona, all with one main thing in common. 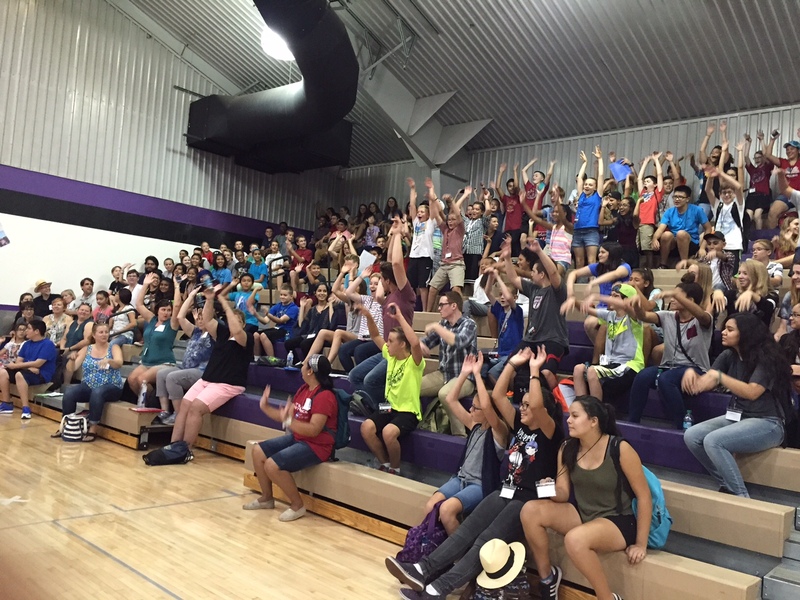 “How many of you like science?” asked Dr. Jeremy Babendure, executive director of Arizona SciTech. Without hesitation, every hand shot up in the air. GCU Provost Dr. Hank Radda tells the Chief Science Officers that GCU embraces science, technology, engineering and math. As if this didn’t display enough enthusiasm, a few minutes later the crowd was cheering “CSO! CSO!” and doing the wave. So began the three-day Chief Science Officer (CSO) Training Institute, hosted by GCU. These several hundred students all were elected by their classmates to the role of CSO at their schools. They are science ambassadors who coordinate speakers, field trips and projects that will infuse excitement about the science, technology, engineering and math (STEM) curriculum. 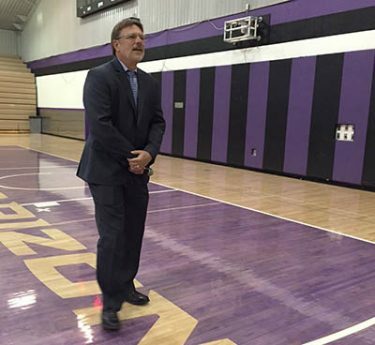 GCU Provost Dr. Hank Radda warmly welcomed the group and spoke of the growing number of STEM degrees at GCU. He congratulated the CSOs in stepping up to their positions, which he said are likely to help them get jobs. In building the STEM curriculum, GCU educators solicited information from some of the University’s 100 industry partners. Dr. Jeremy Babendure is executive director of Arizona SciTech, which started the CSO program in 2015. Industry members say they are are looking for people who have expertise but also have character. “Do you know how to get along with other people? Can you lead a team?” Radda said. The institute is designed to immerse CSOs in activities ranging from leadership development and team building to hands-on science projects and speech writing. He elicited another burst of excitement when he told them they are the only CSOs in the world at the moment, but White House and Congressional officials hope that the experiment that has been so successful in Arizona will spread across the nation. CSOs were excited enough to do the wave. Representatives from other states are observing the institute for ideas on how to start the program. Megan Smith, U.S. Chief Technology Officer and the Assistant to the President, is scheduled to be the keynote speaker at lunch Wednesday. 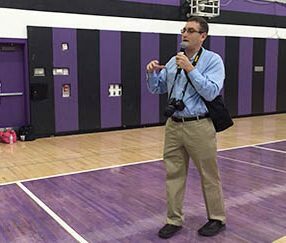 Benjamin Almanza, a junior at Betty H. Fairfax High School in Phoenix, was as eager to begin the sessions as he was to run for his CSO post. 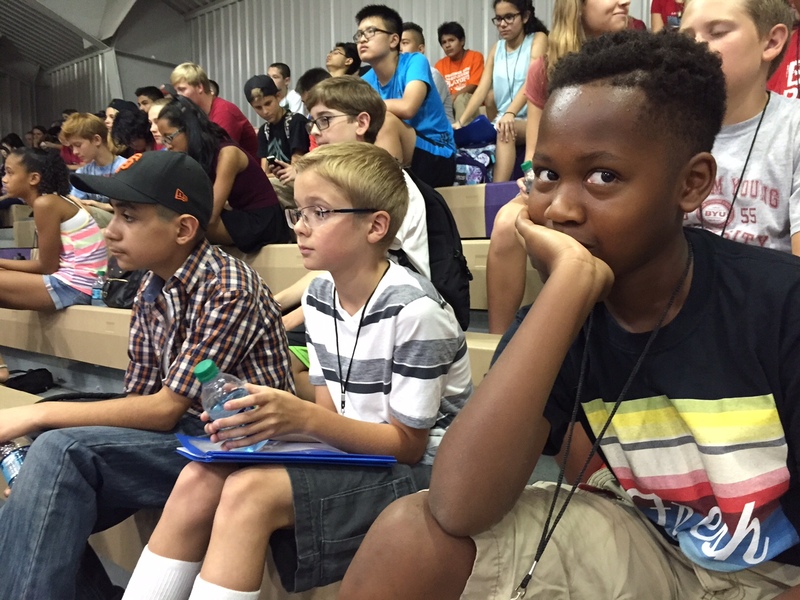 There are no science clubs at his high school, and he wants to make a difference. “I love science, and when I heard about this, I automatically jumped,” he said.